Do not wait for a 911 call to go wrong before addressing 911 routing and location management requirements, as West explains in this sponsored post. Those responsible for managing enterprise phone systems face myriad operational challenges. Arguably, none is as important as ensuring that a 911 call is routed to the proper public safety answering point (PSAP), and that the phone system transmits the correct location of the caller. Failure to achieve these capabilities could lead to loss of life, legal liability, and a loss of business reputation. Unfortunately, 911 call errors are still far too common. If a centralized voice system is installed and no E911 call routing solution is in place, the call may not be delivered to the right PSAP. Even when calls are routed to the proper PSAP, the provided location information is generally only as good as the accuracy of the location manually ascribed to the phone number. Ensuring accurate 911 caller location information is increasingly difficult as telephony environments transition from digital to IP, expand the use of softphones, shift from fixed offices to virtual and open workspaces, replaced wired networks with Wi-Fi, and enable greater support for teleworkers. All of these changes mean that users locations are no longer fixed to a single location. Rather, workers can make calls across the enterprise phone system from virtually anywhere, requiring a proactive capability to track these location changes in real-time, update appropriate databases, and ensure proper call routing. Manual database updates are no longer a viable way to ensure accurate user location information. Investments to automate location information may reduce operational costs. What is your acceptable risk? When dealing with potential liability risk, organizations have to weigh the potential costs of inaction versus cost of action. This is where your legal team should guide you. Proactively ensuring proper 911 call routing and caller location information may not entirely eliminate risk, but it may significantly reduce it. What's the impact on TCO? Manually managing phone location databases is time consuming and expensive. Simply automating this process may result in significant cost savings. In addition, centralizing 911 call routing can enable further savings via eliminating local PSTN services at remote offices. Do I need to support multivendor telephony? Most IP telephony platforms and cloud services offer some level of 911 information management, but those in multivendor environments should benefit from a third-party management platform. How do I support softphones? The need to track softphone locations, especially when replacing desktop phones with softphones, may require additional capabilities for 911 information management. What other capabilities do I need? 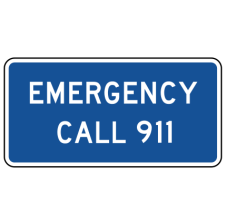 Do you need to route 911 calls to a security desk? Record 911 calls for follow-up review? Prevent 911 misdials? Assign a temporary DID to a phone making a 911 call? Proactively answering these questions will guide your strategy and help you evaluate alternative approaches and solutions. Regardless of which approach you ultimately select, do not wait for a 911 call to go wrong before addressing 911 routing and location management requirements. Hear a discussion of these issues in a Sept. 12 webinar featuring Irwin Lazar, VP at Nemertes Research, and Lev Deich, VP Enterprise with West Safety Services. Register here.